I saw 2 or 3 Ramhorns at my local 5B last night. And Ramhorn obtained, at the old 5B I used to work at no less. Also, $5 Amiibos, not sure how many work with Smash Ultimate, but hey. These Ponies are holding on my heart like a handgrenade. Just based in my 5B: Inkling boy and girl (Splatoon 1 series), Kirby (Kirby series), and Ryu, Ness and Fami-ROB (Smash series) and several Animal Crossing ones. Regarding Smash-compatiblity: If a character is in a game, it's Amiibo figure WILL work. Hell, the non-Isabelle figures unlocks their Spirits. 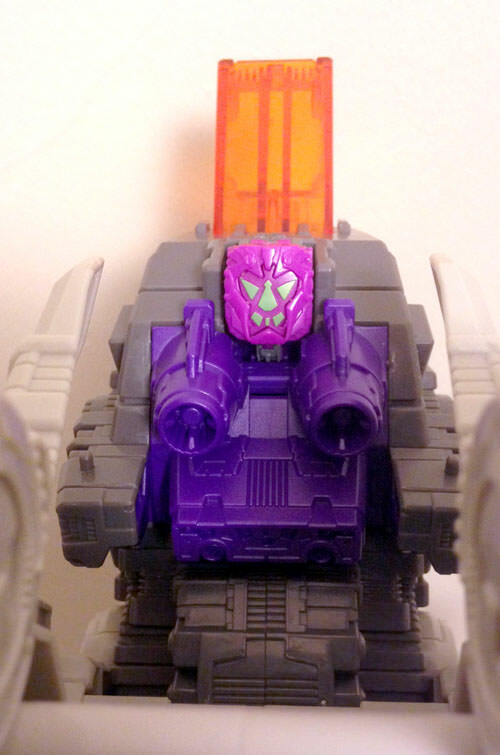 "Some people collect other characters like Jazz or Hot Shot and its encouraged, but I stockpile Cybertron Crosswises and that makes ME the strange one." I've also seen Mario Party Peach and Yoshi (bought Peach), Smash Lucas and Falco (only one of him), and an Animal Crossing 3-pack which, yes, is $5. RE: Ramhorn, I guess the one I got is the lighter variant? It's a more desaturated brown. ALSO, 5B's been getting in the larger-than-Legions-but-not-Deluxes Evergreen figures, Tiny Titans, the final wave (I think?) of TLK Legions (Hound & Dragonstorm) and even some not-Transformers-at-all robo-cars. And in other 5B toy stuff just because why not, there's buttload of MLP movie stuff, $5 Star Wars Black Series 6" figures (grabbed 3PO, also got General Leia at Ross for $3 because Carrie Fisher in the height of her "f*** you" years hells to the YES I'm gonna buy that for $3), lots of those Lego boxes with color-based "build whatever" themes. Edited by M Sipher, 12 December 2018 - 11:38 PM. Oh, which 5B had Ramhorn, if you don't mind my asking? amiibo of player characters will give you some money, IIRC, and let you use them as programmable fighters, like in Sm4sh. Non-player characters (e.g., Celeste from AC) will unlock their Spirit, for the most part (I don't have too many of these, but the ones I had gave me some pretty good Spirits). Crossroads Cary had at least three Ramhorns, I got mine and one for Trent so might still be one there. Beaver Creek in Apex was dry of Titan Masters. Those were the only two I was really able to get to. Huh. An Instagram user in San Diego, California has reported finding Trypticon at Burlington Coat Factory for $60 USD. Edited by SHIELD Agent 47, 20 December 2018 - 04:25 AM. I'm a little disappointed that a Prime Master can't plug into Tryp's noggin like this -- there's enough space between the guns for the legs but not the wider face. Would've been a fun toyetic way of storing a "power up" toy instead of just hiding it inside the Pretender armor. Titanmasters fit there...why doesn't the Primemaster? It fits facing forward, but the face gets hidden. I was hoping for a big tacky Prime symbol on the back of the head. Hm, the Matrixes will plug in backwards like that. So Just got Typticon in my hands. Are his hips to hang loose in his various mode or am I just too cautious about forcing them into place? The hips should lock in pretty solidly. If the teal swing bars aren't lying flat, then push harder. There's a release button behind his hip on each side that you need to press when going from his dino mode to his other forms. Was just thinking about this thread. Looking forward to an updated headline...hopefully about Ollies and Predaking sometime this year. If it's like mine, they don't flatten flush against the body in any mode. Got pics of what you're talking about? I tried posting some for help a while back, but to no avail. I'll try to get pics later but it's like Archon says most likely. So, back around Black Friday, BBTS had a 53% off preorder for Titan class Trypticon and so I sprung for one at the time since I hadn't gotten one for myself. I shipped it back in December and it arrived around near the end of the month. Having finally had the time, I got around to opening up the delivery box and have taken a look at my new Trypticon's batch number. It's one I've never seen listed before. It's 82351. I haven't opened the figure's box yet, but I was wondering if this batch number has come up before as to indicate whether mine is a good Trypticon with no problems with the hips, tail, or chest door, or if it's one of the faulty ones. I got one just before Christmas, myself, and opened it only this past weekend. While it's possible that any damage has already been done, I was also wondering if there was some easy way to determine what batch this came out of.